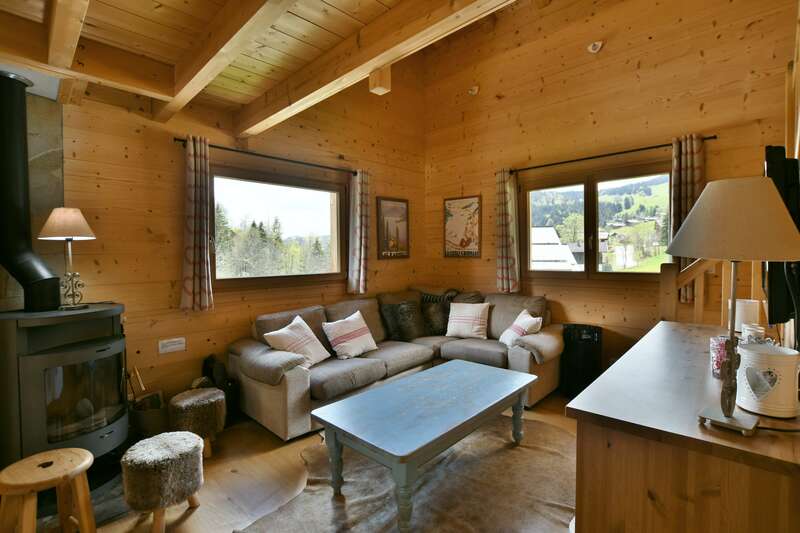 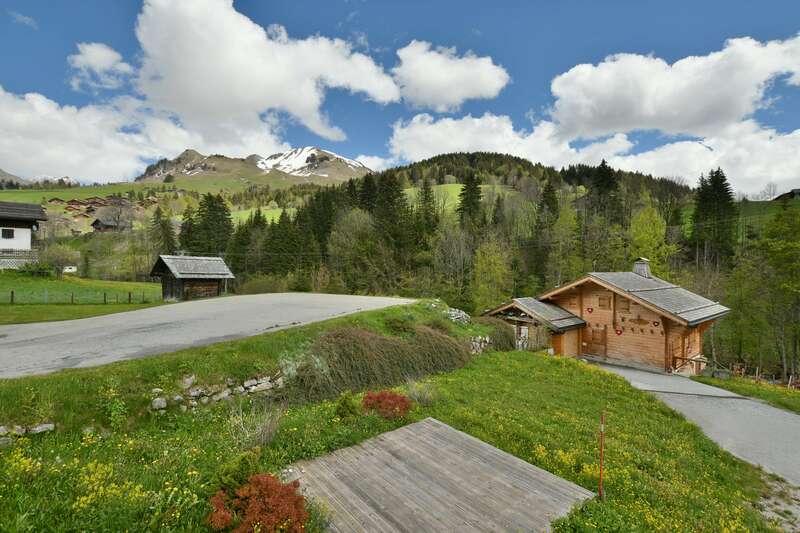 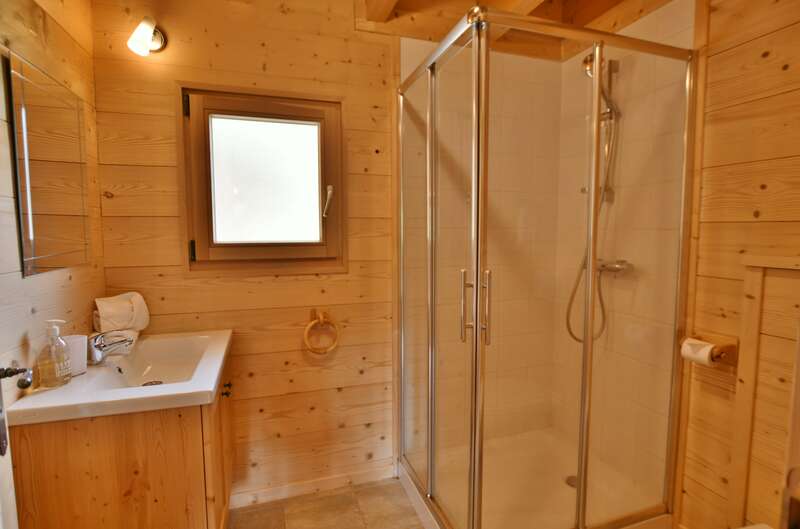 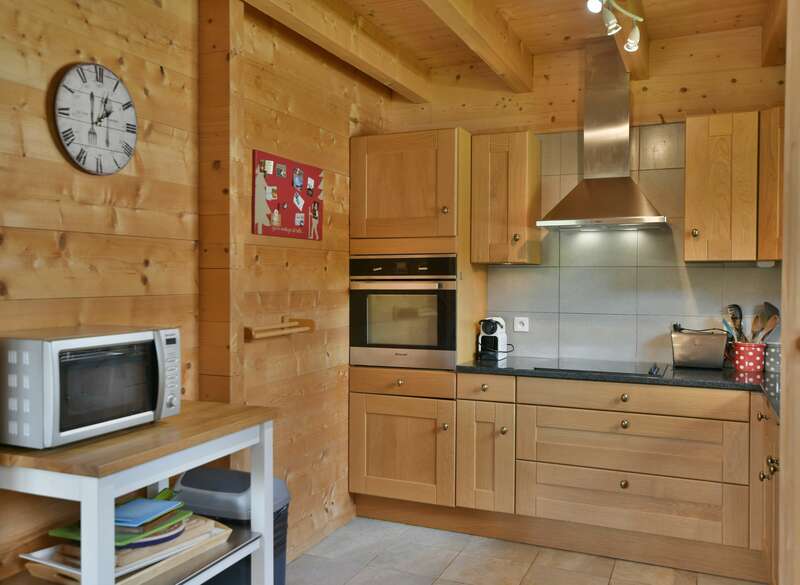 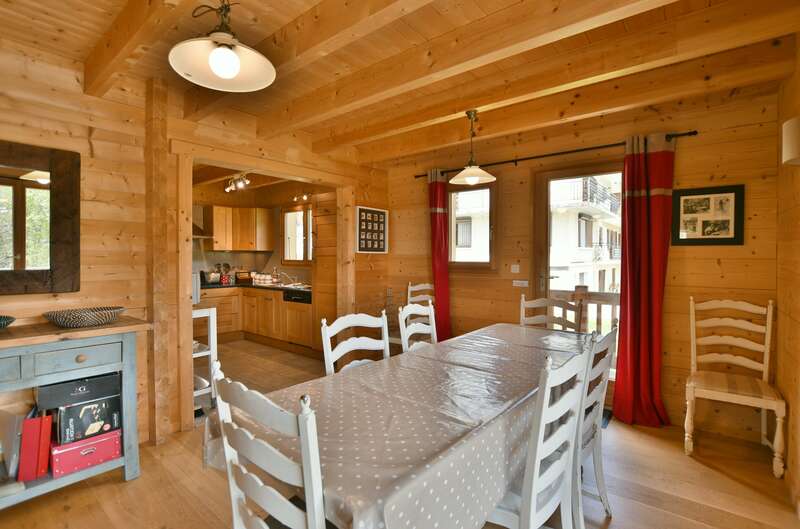 This beautiful standalone 4 bedroom chalet for up to 8 people was built in 2010. 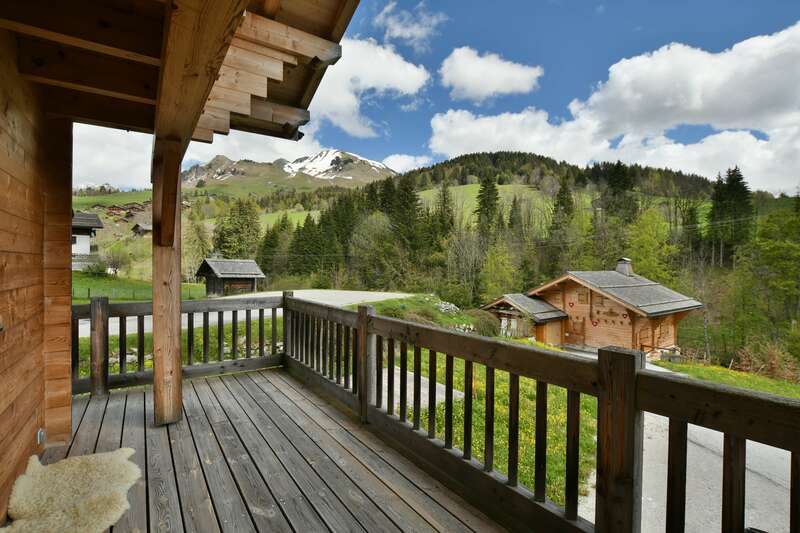 It is only 2 mins walk from the nearest ski-bus stop and 15 mins from the nearest chairlift and the heart of the village on foot. 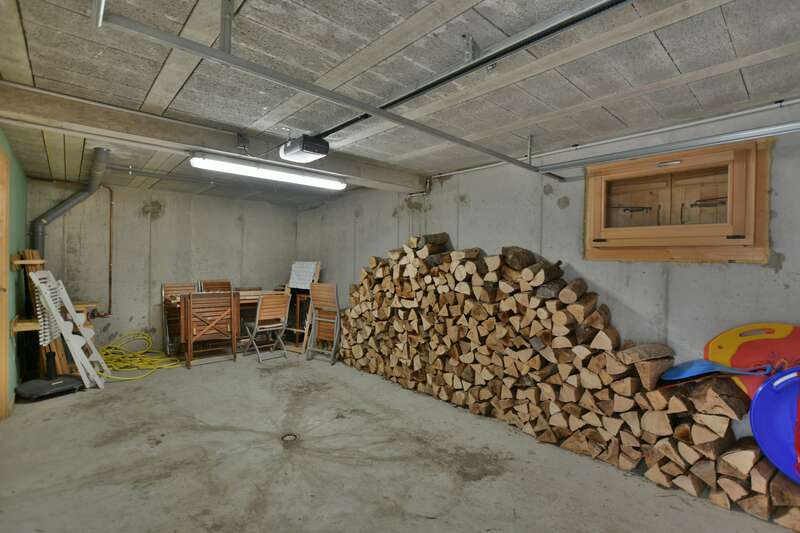 In the basement area you have the garage, ski locker area with a heated boot rack as well as the laundry area with washing machine and dryer. 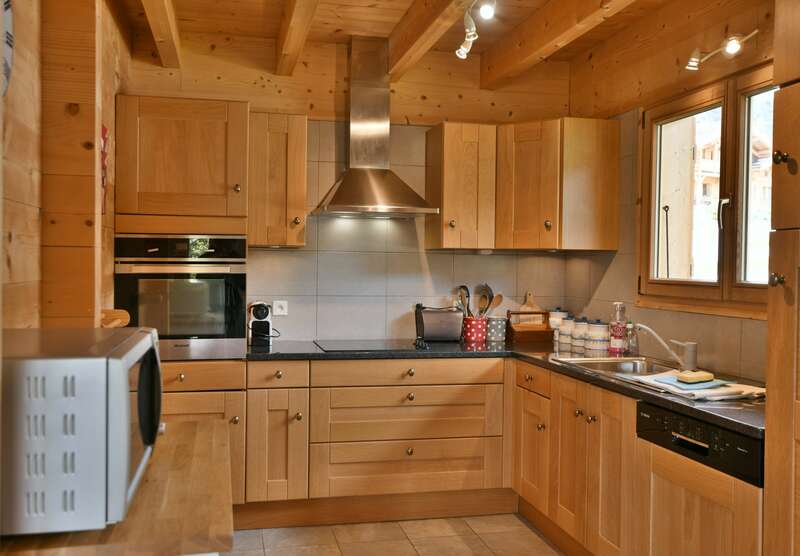 Upstairs, the open plan living room includes a large kitchen equipped with induction hob, oven, large fridge freezer, dishwasher etc. 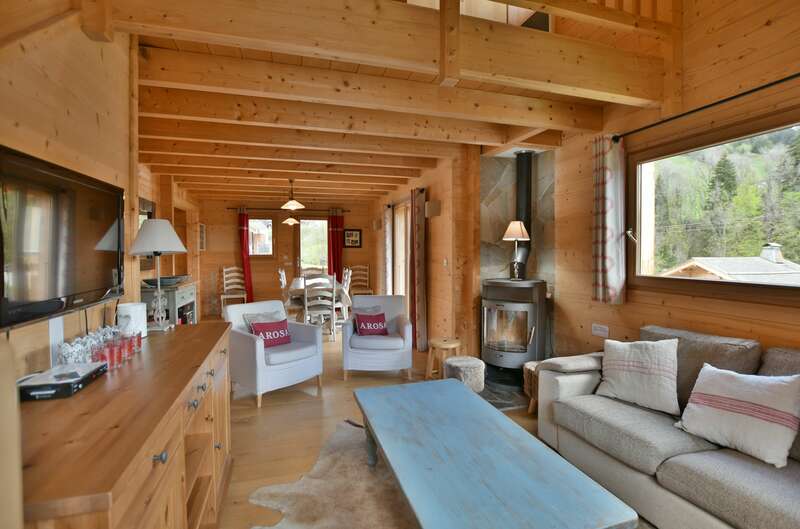 There is a large flat screen TV with DVD player as well as a woodburning stove (logs are provided) ideal for those cozy winter evenings! 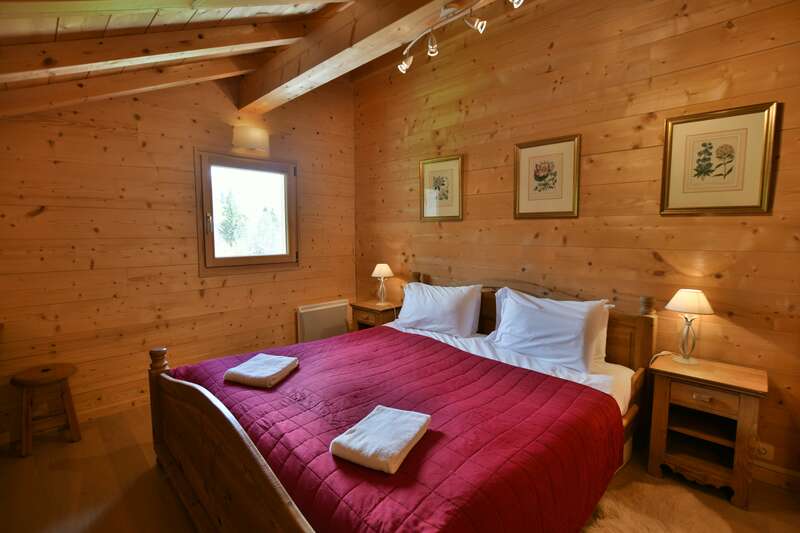 On the same floor there s a queen size double bedroom with adjacent bathroom and toilet. 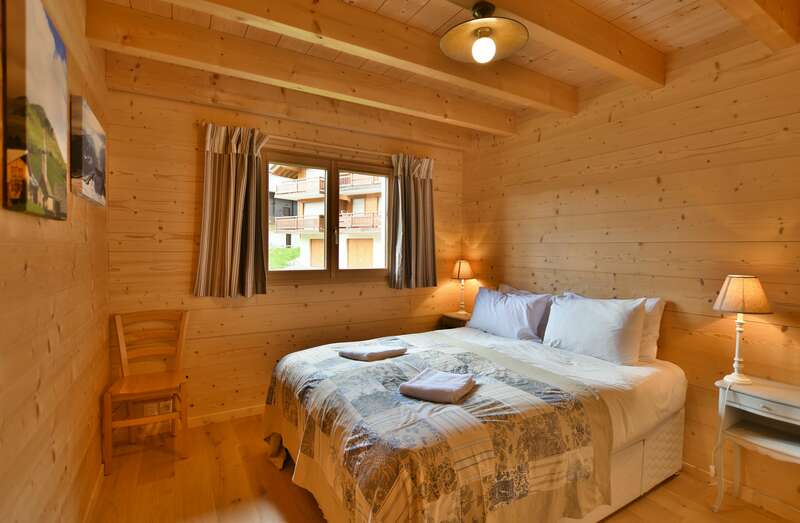 The chalet has broadband internet via wifi. 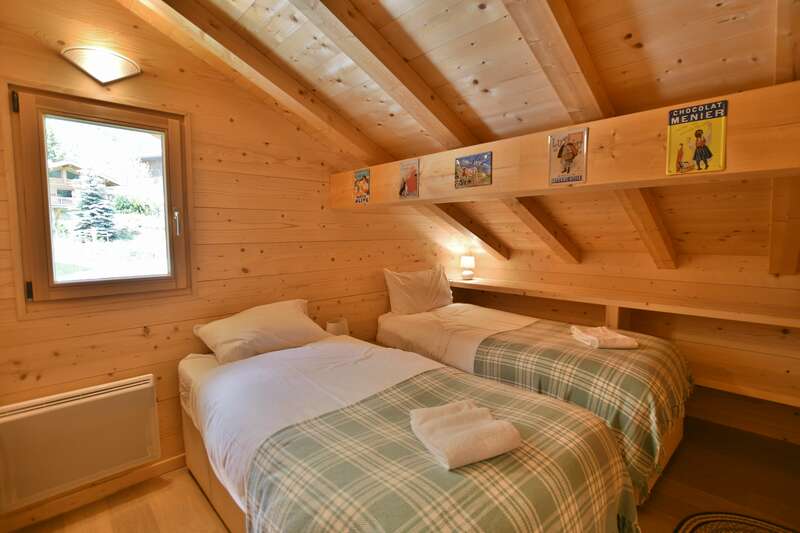 Upstairs, there s a cosy landing with a TV and then a further 3 bedrooms: 2 twin rooms (where the beds can either be separated or pulled together if needed) and king size double bedroom. 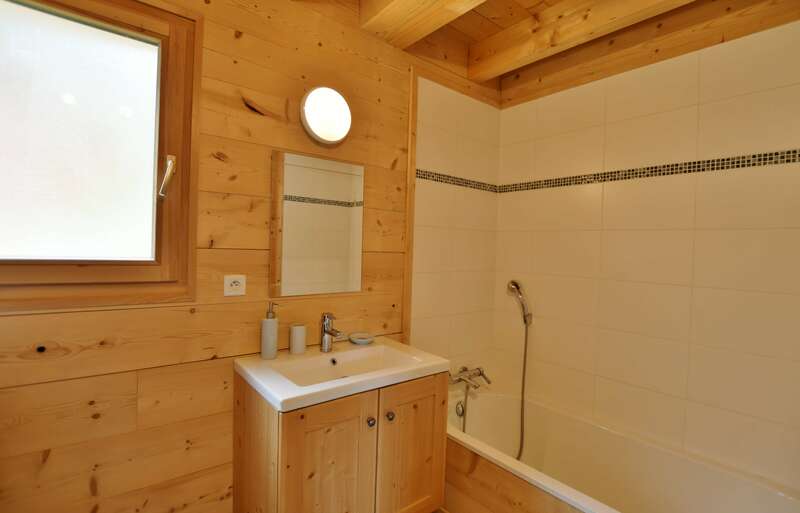 There is also a shower room and toilet upstairs. 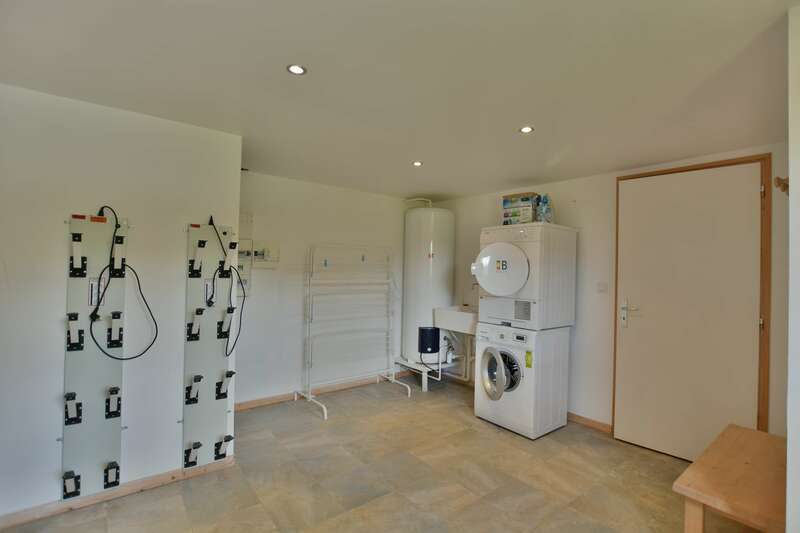 The bedlinen and towels are provided (beds will be made up on your arrival). 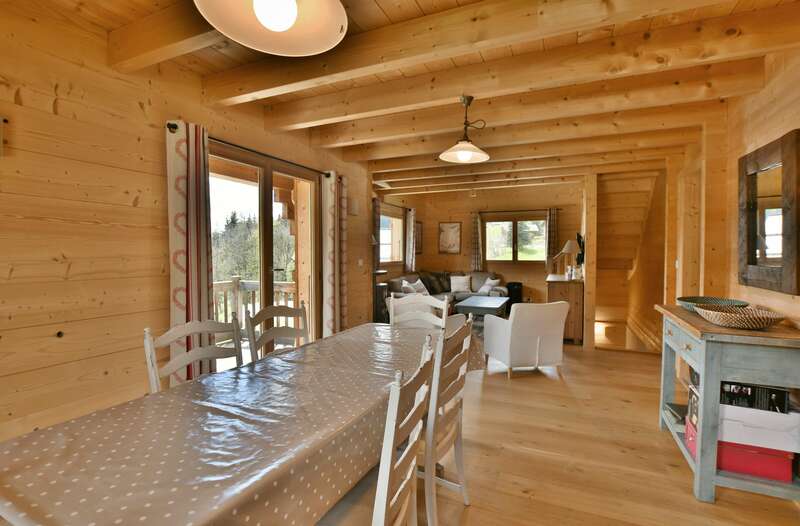 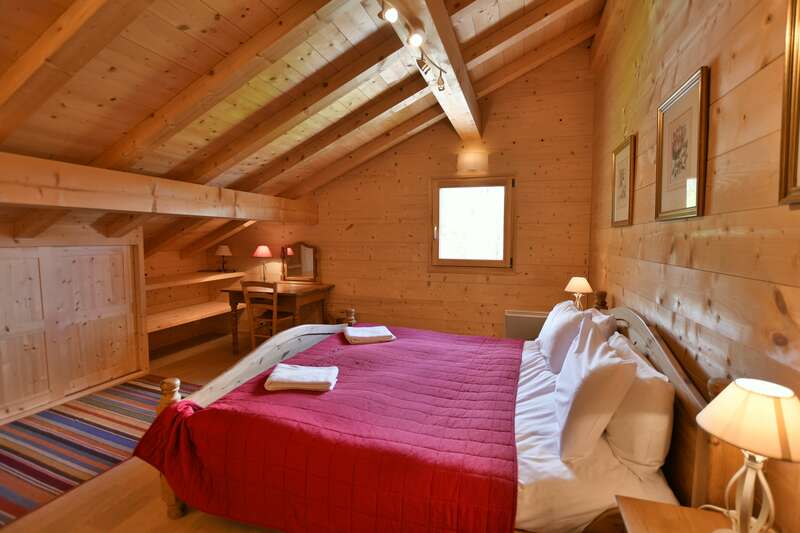 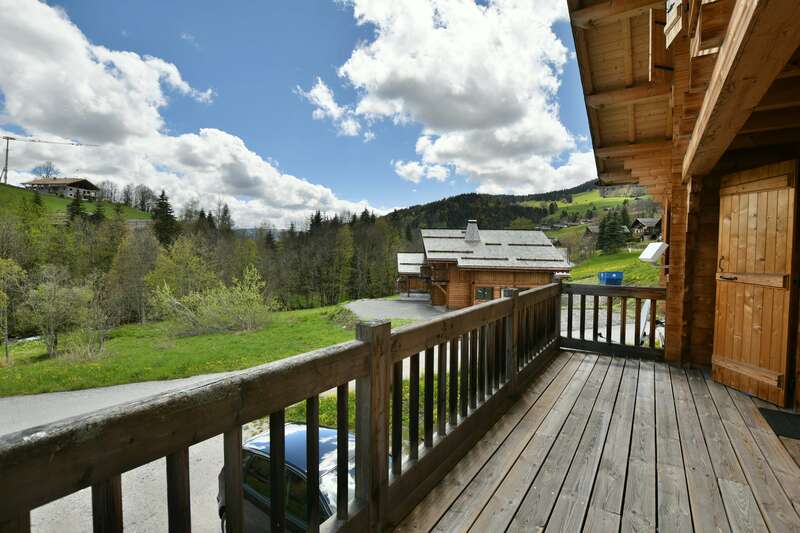 The chalet has underfloor heating on the main floor and wall heaters upstairs.